I have found a similar looking crocheted heart on one of the crocheting blogs. I have pinned it and it got viral. People love it. I love it, too. So, I decided to make one together with my other sweet crochets for kids. Here are few tips on crocheting a heart like this. First, I crocheted a foundation for it. I just added stitches, where I wanted to form the round heart parts. 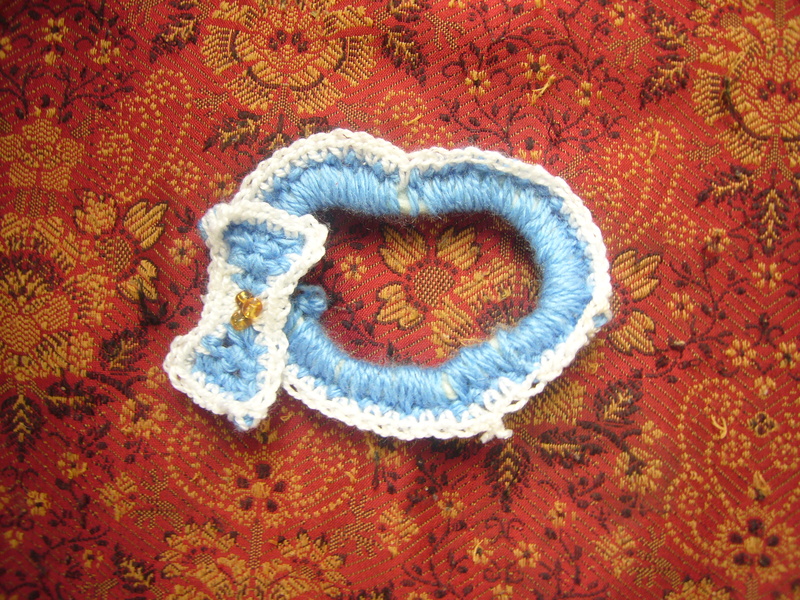 Then I crocheted it over with the blue yarn and finally used thin white yarn on it. It was really easy. I’ll use this crocheted heart for my decoupage decoration projects. This entry was posted in Crocheting and tagged crafts, crocheted heart, crocheting, crocheting ideas, tips on crocheting heart. Bookmark the permalink.